WHICH ARE THE VALUES OF OUR LEADERS ? By violating her Oath to respect the Swiss Constitution, Micheline Calmy-Rey gave a strong message to the Swiss nation and the other Countries : As Swiss Confederation President, I set up a procedure for bypassing the respect of the guaranteed rights by the Constitution. I am a traitress. HAVE WE ELECTED CITIZEN OF HONOR OR SKILLFUL DECEIVING MEMBERS OF THE SWISS UNDERWORLD WHICH BETRAY THE VALUES OF OUR NATION ? This site aims to break the silence on the economic crimes committed with magistrates' power which violate their Oath to observe the Constitution and with the power of lawyers which deceive privileges which bind them to the Courts. In 1995, Patrick Foetisch, Chairman of the board of directors of a company monopolizes by a swindle the multimedia product developed by the start up company of Mr Erni. Then he immobilizies Mr Erni company by using the powder of lawyers.The product stolen with the fraud is the first interactive multimedia generation of the applications which are using the digital technology for communicating and selling by the image. These applications allow to use internet for placing orders. Mr Erni is one of the pioneers to have incorporated advertising into his application for financing it. It is a product similar to which one developed by Jeff Bezos at the same time in the USA who made the success of AMAZON by exploiting the new technologies of the digital technology. While Mr Erni has his company immobilized, one of Mr Foetisch friends launches a company to exploit the stolen product. 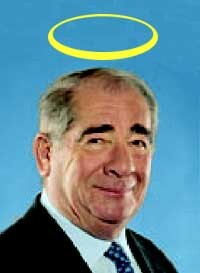 Mr Foetisch is the Chairman of the Board of the company who committed the swindle. He justifies the swindle by explaining that he has two caps. On oneside he has the cap of President Chairman of the board, on the otherside the caps of a lawyer. He asserts that with the relations which bind lawyers to the Courts and his relations at high level he is untouchable. At this time, that means the year of the swindle, it is Dr Claude Rouiller who is the President of the federal Court. Me Foetisch adds that if Mr. Erni wants to lodge a complaint, not only his crimes will never be investigated, but he will make demolish Mr Erni to run useless procedure by using the power of the Courts. Due to the swindle and the immobilization of its company by Swiss underworld magistrates, Mr Erni loses his company. It is a damage of several millions. All the parts to prove the swindle exist. Trusting the guaranteed rights by the Swiss Constitution, Mr Erni lodges a complaint. M. Foetisch keeps then his promises. He shows him how the Courts vitiate the procedures and use their power to commit some organized crime with the members of lawyer associations. In 2001, on the basis of the abuse of authority and the betrayal of federal judges, Mr Erni lodges a complaint against federal Judges. In reaction, members of the the Swiss underworld will try to intimidate Mr Erni by actions of hostility. The complaint will never be investigated. In 2002, Mr Foetisch should have a few fears because his friend with whom he committed the swindle is going to fall. His fall should splash Mr Foetisch. Again the legal proceedings are vitiated. His friend dies, without reason, but just in time to avoid the splash. This time, lawyers use the Big means for obtaining Mr Erni's silence. Me Ives Burnand, colleague of Mr Foetisch accuses Mr Erni wrongly by attributing cunningly false words to a witness. By this process Mr Erni passes from victim to defendant. This witness is the only witness who can deny the false words which were attributed to him. Mr Erni just has to make testify this witness to restore the Truth. Mr Erni learns then that this witness has been forbidden to testify by lawyer association of the criminal Me Yves Burnand. This point demonstrates well the false accusation and the machination. The day of the trial, the President of the Court is summoned to make testify this witness to prove the false accusation. The latter refuses by explaining that his Court has its power reduced by the lawyer association. For this case, he cannot make testify this witness of crimes forbidden to testify by the lawyer association. It is an obvious violation of the guaranteed rights by the Constitution! All this trial is secret, recorders in the public are seized, Mr Erni is even threatened in the corridor of the Court (there was no camera). The crime is almost perfect, at the unforessen exception that the Public present in the room takes written notes. He notices the violation of the guaranteed rights by the Constitution and he applies for one parliamentary investigation on the relations which bind lawyers to the courts. The demand for the parliamentary investigation is given to the Waadt Parliament.Without this testimony of the public, the crime committed by the Swiss underworld would have been perfect! This demand of parliamentary investigation shows how the magistrates, members of the Swiss underworld, can violate the guaranteed rights by the federal Constitution by using vitiated procedures. It is the same type of methods that those described by Bradley birkenfeld who served to violate the American law. To consult the original text of the demand of parliamentary investigation, click here. The Waadt Parliament goes then asked an opinion of right to Dr Claude Rouiller, one of the high relation of Mr Foetisch. It is Me Schaller who represents Mr Erni and who follows the file. Dr Claude Rouiller will make a false expertise, he will neither invite Me Schaller the legal representative of Mr Erni, nor the representatives of the Public who deposited the demand of parliamentary investigation, for presenting its expertise on this case. The public who deposited the parliamentary investigation demand and Me Schaller will protest and will ask that Dr Claude Rouiller presents them his expertise. Mr Claude Rouiller has refused. An interruption of prescription for false expertise gives evidence of the facts occulted during this period. In all the cases, Mr Claude Rouiller is always welcome to come for presenting his expertise in public and even at the television. Within the framework of this affair, the federal Council told to Mr Erni to file a claim for compensation for damages caused by magistrates of the Confederacy. Micheline Calmy-Rey, President of the confederacy used a Bradley Birkenfeld method for covering the crimes commited by the magistrates. She was faithless her oath by violating obviously the Values of the Constitution. Micheline Calmy-Rey who is a sworn magistrate, was then invited to give evidence that she had respected her Oath. She refused to confirm that she had respected her Oath, but she did not cancel her decision! For those who do not know the guaranteed fundamental rights by the federal Constitution which is the supreme law of Switzerland, you can find them under the tab: "SWISS VALUES"
Do not forget that the federal Councillors and the magistrates are the servants of all the citizens. They have the obligation by their Oath to respect these rights for all the citizens. They can apply in no way a procedure which violates obviously the fundamental rights. Our nation is sovereign and she has never allowed such abuses of power. Switzerland is desperated. The functioning of the federal Constitution jammed for several years. Vitiated codes of procedures, magistrates who violate their Oath and the privileges granted to lawyers, obstruct the smooth running of the Constitution. Foreign countries are irritated by the incapacity of the federal Council to enforce the Values of the Constitution. They brought the proof that Swiss companies violate their laws with gangster's methods. In particular they set up procedures vititated to by-pass the respect for the foreign laws. These procedures were exposed to the federal Council. It is only under the threat of reprisals that the federal Council finally legislated punctually to limit the uses of gangter's methods. It is about the end of the professional secrecy of banks. Swiss are also irritated by magistrates who violate their Oath to respect the Constitution. The employees of companies whose leaders commit crimes in foreign countries are afraid of being arrested, they do not dare to travel any more abroad. It's totally unheard of in the history of Switzerland. The former President of the Confederacy, Micheline Calmy-Rey was faithless her Oath. She allows companies to commit some economic criminality with complete impunity. The vititated procedures described by foreign countries to commit crimes on their territory are also applied by the Swiss underworld to by-pass the respect of the federal Constitution in Switzerland. The federal Council has no more indicator on the smooth running of the Constitution. It has not yet taken measure to fight against the Swiss underworld which blocks the smooth running of the Constitution. 3) to present the powers granted to the lawyers which violate the Constitution (See point 5 above). These methods of the Swiss underworld are well known of the judiciary. They are not known from the citizens who are misinformed by the judiciary. It is not enough for the federal Court to emit a prescription for having the guarantee that the prescription respect the Value of the Constitution. The reprisals of the American Senate highlighted that Switzerland does not respect any more the Values of her Constitution. After having displayed the mechanism used by the Swiss underworld to commit crimes with the power of the Courts, we shall handle a real practical case so that those who discover these methods can measure the real impact. It is about the case where Micheline Calmy-Rey was faithless her Oath for covering economic criminality committed by members of brotherhoods of lawyers. By violating her Oath to respect its duty of function, she set up a new federal lock which allows banks and lawyers to use screen lawyers to commit crimes with complete impunity with the protection of the federal Court. It is a case study which is always on the agenda. Each will recognize by this case, the equivalent of the methods - described by Bradley Birkenfeld to by-pass the American law - shameless used by the highest magistrates of our country for by-passing Swiss law. Finally, we shall require from magistrates who make decisions in this case study to give evidence that they respected their Oath to honor the federal Constitution during their decision, see tab Oath/Betrayal. It will be the opportunity to discover magistrates' dark side which governs at present time Switzerland. The OMERTA is the law of Silence. It also exists in Switzerland. When citizens send a mail to concerned magistrates or to members of Parliament bringing the proofs of abuse of power or violation of the constitutional laws by top leaders, they quite often will not receive an answer. When an employee of a company witnesses that his company violates deliberately the laws of a country, he has to keep silent if he don't want to be dismissed. When journalists are informed about a case of important abuse of power. They will tell you that they do not dare to speak about it for fear of reprisals, to see to be dismissed. The UNDERWORLD is the environment of the organized crime. By definition, we call here the " Swiss Underworld " all the sworn magistrates who violate the article 35 of the federal Constitution. All the people who assume a task of the State and who also violate this article 35 of the Constitution. All the people who observe the OMERTA on the violation of the article 35 of Constitution by sworn magistrates, while they were invited to act and while they have the power to act. All the lawyers which make an excessive use of their privileges to cover the economic criminality and the organized crime. The DEMOCRACY is a political organization where the people are sovereign. The supreme law of a democracy is the Constitution. It is voted by the people and the latter makes it lives. The FEDERAL CONSTITUTION is the supreme law of Switzerland, all the secondary laws and the codes of procedures must be established to enforce the supreme law. The federal Constitution is the supreme law of Switzerland. 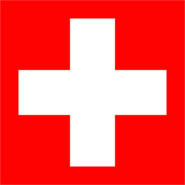 It expresses the will of the Swiss people who is sovereign. The Parliament is elected by the people. It has the obligation to set up the laws and the codes of procedures necessary to enforce the federal Constitution. He has to watch that the secondary laws and the procedures are adapted in the conditions of moment to respect the federal Constitution. The government has to apply the supreme law. In case the secondary laws and the procedures are not or no more adapted to the situation of the moment, it has the duty to propose to the Parliament secondary laws for compensating the gaps of the moment. To make sure that the Parliament and the government respects the guaranteed fundamental rights by the supreme law, the Swiss people put in the Constitution the article 35 Cste which obliges them to make it. 1 Fundamental rights must be upheld throughout the legal systemes. 2 Whoever acts on behalf of the state is bound by fundamental rights and is under a duty to contribute to their implementation. 3 The authorities shall ensure that fundamental rights, where appropriate, apply to relationships among private personses. The writing of the secondary laws and the codes of procedures to apply the Constitution is of the responsibility of the Federal Parliament and the Canton Parliaments. These latters have to watch the respect for the Constitution during their writing as specifies it the article 35 cste. The responsibility of the good enforcement of the supreme law depends on the federal Council, it is kept by oath to respect the Constitution according to the article 35 cste. A Constitution which is not applied is of no use. If the will of the sovereign people is not respected, the democracy is dead. To assure that the federal Constitution is respected, the federal assembly makes take oath to the federal Councilors to respect the federal Constitution. Legend : The President of the Confederacy taking oath to respect the Constitution. Je jure devant Dieu tout puissant d'observer la Constitution et les lois et de remplir en conscience les devoirs de ma charge. A chief of state has not just to say : "I swear to observe the Constitution of my country, so that it is true". More and more chief of state are charged after their Presidency. For example, Mr Chirac, Mr Sarkosy, etc. were prevented not to have respected the law of their country. Switzerland does not escape the rule. The perfidy of MIcheline Calmy-Rey to cover the organized crime shows that she was faithless her Oath to respect the federal Constitution in a particularly serious way. In Switzerland contrary to the foreign countries, the magistrates who violate their Oath enjoy the protection almost absolved from the Swiss underworld, who control the Courts. Since the 90s, with the opening of the international markets, it is considered in the industry that the swearing of a person is not a sufficient guarantee for insuring the respect of a rule or a law. The person may be dishonest or absent-minded. It is necessary at least to get a recording dated and signed by the person who confirms that she respected all the points of the law. The most used and effective document is a checklist enumerating points to be verified. The sworn person has only to tick control points and to aim at the document for confirming that she made the control. This document avoids the neglect of an absent-minded person. In case of betrayal of the sworn person, there is a written document which allows to verify the facts and to make her judge if she was faithless her Oath. At present, there is no document allowing to control that a magistrate respected the article 35. It is necessary to ask him for a "certificate of conformity" every time. 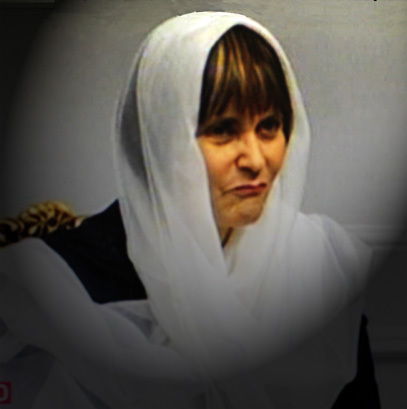 Apparently Micheline CALMY-REY violated her Oath to respect the article 35 cste, because there was no written control or certificate of conformity which she had to signs and which would have dissuaded her to be faithless her Oath! The betrayal of the Oath to respect the article 35 of the Constitution is one of the main elements used by the Swiss underworld to commit crimes. By the violation of their Oath, the Courts and the lawyers can violate the respect for the fundamental rights by vitiating procedures. Every year magistrates and state employees of the State are faithless their Oath to respect the guaranteed rights by the Constitution for questions of private interest, cronyism, etc. It concern all levels, from agents of the order up to the highest magistrate of the Confederacy. The betrayal of Micheline Calmy-Rey is one of examples which show that the swearing of a magistrate is not sufficient to guarantee the respect of the fundamental rights guaranteed by the Constitution. In Switzerland, there is no school of judiciary. Lawyers and judges belong to the same family. The choice of the judges is often made by deputy lawyers which have interests hidden with the magistrates which they propose as judge. The legislator, consists of an important group of lawyers. The latter plans privileges for themselves and their Brotherhood. These privileges which the secret of the lawyer can be used to commit crimes. These Privileges reduce the power of the Courts treating crimes committed by lawyers. The legislator (at the exception of the lawyers) did not think that lawyers were going to use the reduction of the power of the Courts bounded to their privileges to commit crimes. As soon as a lawyer uses the power of the Courts with its privileges to commit crimes, there is no more division of powers. The privileges granted to the lawyers who allow them to use the Courts to commit crimes with complete impunity violate manifestly the separation of the powers. This violation of the separation of the powers blocks completely the smooth running of the Constitution within the framework of crimes committed by lawyers. The Courts - established to make respect of the Constitution - become those who violate with perfidy the Constitution. The codes of procedures were drafted to allow the crime committed by lawyers and initiated by violating cunningly the supreme law, which is the Constitution. They allow to use occult methods, without any control, so cunning as methods described by Bradley Birkenfeld to by-pass the american supreme law. They allow to vitiate the official documents by preventing cunningly to establish the Truth in the respect for the guaranteed rights by the Constitution. In the penal code, an example which gives the gooseflesh to the Americans is the fact that an accused can lie in Switzerland. Nothing of what he says cannot be retained against him. While in the USA, as soon as a person is prevented, she is informed that she has the right to keep silent but that all that she says can be retained against her. This small detail set up by the Swiss underworld allows any liar who knows the Swiss law to block the smooth running of the Constitution. In Switzerland, a judge can remove proofs of a file when he passes on it to the lawyer of a victim of a crime committed by a lawyer, then to put back the proofs in the file to falsify the course of the trial, there is no control. In switzerland, the penal code does not foresee that the respect of the fundamental rights is the objective of the magistrate. These methods allow to block completely the smooth running of the Constitution. The penal code serves for covering crimes of the Swiss underworld protected by lawyers' brotherhoods. The power given to a magistrate allows him to vitiate any procedure. He just has to exclude the elements which show that the procedure cannot be applied by the way he makes it. He has the power of it if he does not respect by the article 35 of the Constitution. As soon as a magistrate doesn't respect the article 35 of the Constitution, he can vitiate the procedures and block completely the smooth running of the federal Constitution. For example, in Switzerland a Judge can introduce the testimony of a witness who has never existed in a prescription to vitiate its judgment and cover for example the crimes committed by a lawyer. It is the methods similar to those described by Bradley Birkenfeld that allow the magistrates to block completely the smooth running of the Constitution. The privileges granted to the lawyers whose protections of the courts allow them to create damages to citizens with the power of the State, by making them doing excessive and vitiated procedures. For example, a lawyer can attribute false comments to a witness of his crime to accuse another citizen on his place. He has the power to forbid the Judge to make this witness testify. With these gangster's methods which remind those described by Bradley Birkenfeld, any citizen can be judged on the basis of lies established by lawyers' brotherhoods. The betrayal of Micheline Calmy-Rey who legalizes these methods of the Swiss underworld allows to block completely the smooth running of the Constitution. The relations which bind the members of lawyers' brotherhoods to the Courts allow to prevent to file a criminal complaint against a lawyer who committed a crime. They allow to prevent the instruction of its infraction. They reduce the power of the Courts. They allow to grant the impunity to the lawyer. They allow to use the power of the Courts to harass the victims of these crimes by making them doing excessive and disloyal procedures. The betrayal of Micheline Calmy-Rey who darkens cunningly and covers these methods of the Swiss underworld allows to blocks completely the smooth running of the Constitution. The privileges granted by the legislator to lawyers' Brotherhoods within the framework of crimes committed by lawyers violate by definition the equality before the law. For example: the one who wants to file a criminal complaint against a President, Administrator does not need a license of the President of the bar to be defended by a lawyer. The one who wants to file a complaint against a President administrator lawyer will need a license of the President of the bar to be defended by a lawyer. As a result the privileges blocks in a catastrophic way the smooth running of the Constitution. The federal Court, in the profound distaste for the respect for the Constitution, established a whole series of unfair rulings to hinder the judicial actions engaged against lawyers. For example, it admits cunningly that a Court cannot make a witness of crime testify if the witness has been forbidden to testify by a lawyer's Brotherhood. The betrayal of Micheline Calmy-Rey who darkens these methods of the Swiss underworld allows to block completely the smooth running of the Constitution. In Switzerland, the power granted to the Courts allows them to vitiate documents. Since a magistrate does not respect the article 35 cste, everything is allowed to falsify the Truth. The most current practices are the neglect of facts in favor of a party to falsify the judgments. The neglect of facts is also subtle as the methods described by Bradley Birkenfeld to deceive the American justice. The Swiss magistrate can refuse to hear the main witnesses of a crime, to push aside facts or to modify cunningly facts described by witnesses during their verbalization. Push aside the annoying details proving the crime and not ask the essential questions to the witnesses to prevent the Truth from being established. There is a whole series of procedure who allow to hinder the respect of the Values of the Constitution. For example the prescriptions which are not sent to the concerned persons ! Etc. For example, in the case of the affair of the Betrayal of MIcheline Calmy-Rey, we saw proofs of crime evidence which disappeared from files, and witnesses who had never existed who appeared in prescriptions. Such a set of elements allows to block completely the smooth running of the Constitution. Such elements could not happen if audiences were filmed as they are recorded in USA. It shows that the methods described by Bradley Birkenfeld for committing crimes are apparently taking their source in the Swiss Courts. The authorization request is an obvious discrimination in front of the law. It is a violation of the fundamental rights. It is a disloyal procedure which allows professionals of the law to hinder the legal action. The fact that a lawyer can commit at the same time a crime as business man and at the same time take advantage of his Title of lawyer to enjoy the protection of the Courts violates obviously the respect for the fundamental rights. For example, within the framework of this swindle, Mr Foetisch chairs administrator of the company ICSA had appointed the lawyer Me Foetisch to defend ICSA. It was the same man. The lawyer Me Foetisch, representing the company of the President Administrator Foetisch used a false cunning contract to commit the swindle. In the Courts, the judges obey the lawyer Me Foetisch. At the request of Me Foetisch, a neuchâtelois judge even forbade during an audience of Court that we speak about the false contract used by Mr Foetisch. The protection of the double cap gives a power to the lawyers which puts them over the judges. It violates the equality before the law and the access to independent Courts. The fact that the President of the bar forbade that the complaint can be lodged against the President administrator Foetisch, because he was a lawyer, reduces the power of the Courts and violates the fundamental rights. The citizen who did not study the law, who does not know that it is needed an authorization of the President of the bar to lodge a complaint against a President administrator, is automatically discriminated to enforce his fundamental rights. He has no possibility of being defended by a lawyer in a fair way. The latter being bound to the Courts. It is necessary to underline that the brotherhoods of lawyers are private associations. There is no reason which can justify that these private associations have the protection of the Courts and that they can forbid for example cunningly that a judge can make show a witness while the other associations have not this power. It is the codes of procedures which violate the federal Constitution. The codes of procedures and the rules of lawyer ethics reduce the power of the judge and limit their role to the function of luxuries lackeys of the lawyers trained for by-passing the respect of the fundamental rights. The absence of division of powers between the brotherhoods of lawyers and the Courts with the links which bind lawyers to the Courts violate obviously the fundamental rights. The Courts are neither neutral nor independent to treat cases of crimes committed by members of brotherhoods. It is an obvious violation of the fundamental rights. Even worse, with the codes of procedures and the rules of lawyer ethics, the role of the Courts is reduced to that of the luxury lackeys of lawyers. In particular, the underworld of the Swiss lawyers can use the power of the Courts to commit crimes and make doing excessive and disloyal procedures to their victim with complete impunity. The federal Court does not escape to the rule. The example of Dr Claude Rouiller which made a false expertise to cover the crime of Me Foetisch is not an exception. 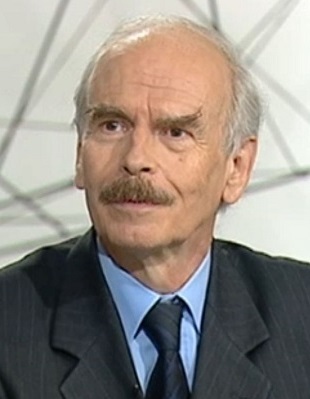 Me Philippe Bauer, former president of the neuchâtelois Big Council, obtained that his luxury lackeys of the federal Court, recognize by a cunningly vitiated ruling that the reduction of the power of the judges by the brotherhoods of lawyers is not an infringement on the personality of the victims of such crimes. For the federal judges, it is normal that a Court President cannot make testify a witness of crimes of lawyer forbidden to testify by the lawyer brotherhood of the criminal. In other words, the federal Court recognizes to the Brotherhoods of lawyers the right to reduce the power of Courts within the framework of crimes committed by lawyers which are using the power of the Courts to commit their crimes. Such a ruling violates obviously the rules of the good faith and the fundamental rights, it is a case study. It shows especially that there was violation of the division of the powers. In the above case, the sworn federal judges had the obligation to recuse themselves for respecting their Oath. They could not make a decision on crimes committed with the power of their Court. They have lost the face and compromised the image of Swiss Courts. This ruling shows how the relations which bind the brotherhoods of lawyers to the federal Court allow them to vitiate the official documents by pushing aside all the facts which show the violation of the guaranteed fundamental rights by the federal Constitution. The federal Court with the brotherhoods of lawyers have used the procedural methods described by Bradley Birkenfeld in the USA for by-passing cunningly the Swiss Constitution. After the bank managers who are arrested in the USA for by-passing the American law, maybe tomorrow, it will be screen lawyers and the federal judges who protect them, who will be arrested in the USA for manipulating cunningly the procedures in order to by-pass the respect of the American law for committing economic crimes. The American Senate observed that the implemented methods by banks to commit economic criminality are gangster's methods. They are disloyal procedures. It was not even necessary a question to know if these procedures were legal or not. They simply noticed that the supreme law of the USA was obviously violated by these procedures. The American lesson is that in the USA, we cannot justify crimes as the Swiss Courts are doing it by calling upon the respect of vitiated procedure cunningly established for committing crimes. The sworn magistrates who violate their Oath to respect the article 35 cste are at the origin of the organized crime in Switzerland. The violation of their Oath is the main engine used by the Swiss underworld to generate and apply disloyal procedures. The implemented methods by banks and lawyers to commit economic criminality with their professional secrecy are gangster's methods. They violate the Values of the Constitution. They are based on the use of disloyal procedures which allow to vitiate the official documents and to hide cunningly the data which prove the criminality. They are the executives of the Swiss underworld, who are sworn magistrates, who violate their Oath to respect the Constitution, which is the main engine of this type criminality. They have among them senior executive magistrate of the Federal Court. On this site, we are regularly going to ask sworn magistrates to confirm that they have respected their Oath by taking their decision. Each citizen can so made his own opinion of these magistrates. Micheline Calmy-Rey while she was president of the Confederacy was faithless her Oath to honor the Constitution for protecting the interests of one of the Swiss underworld Bosses. By violating her Oath to respect its duty of function, she set up a new federal lock which allows banks and lawyers to use screen lawyers to commit crimes in Switzerland and abroad with complete impunity with the protection of the federal Court. It was asked to her to confirm that she had respected her Oath when she was faithless her Oath. She was not able to make it. She did not repair for all that the damage. To our knowledge, she does not speak about it in her book !